Yesterday, the falls were glorious; lots of water coming down the rocks. Although it's almost January, the temperature was in the high forties and almost no ice was present. 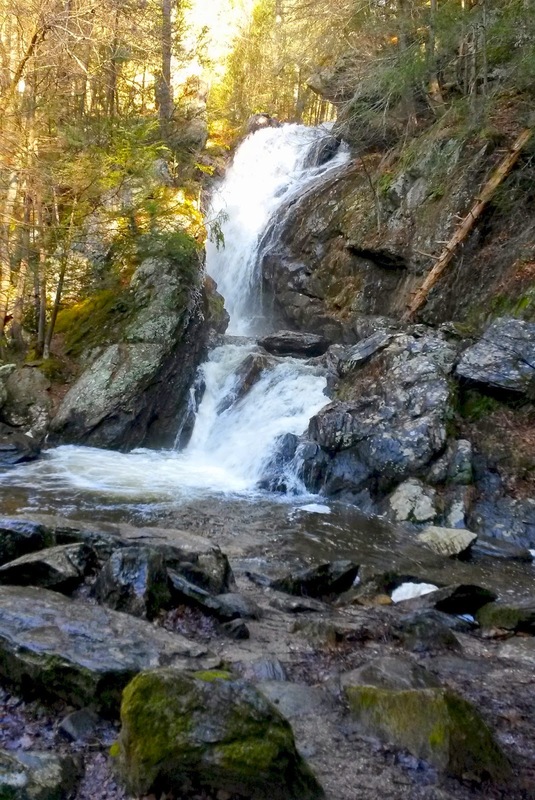 Campbell Falls State Park is in Norfolk, Connecticut, but the actual falls are in Massachusetts. The park is a cooperative effort of the two states. The parking area is on Spaulding Road off Conn. Rte 272 which is called Norfolk Road in Mass. A sweet trail, about a half mile, leads you through tall trees, ferns and blow-downs covered with moss. I also like to walk the rarely-traveled dirt roads, like Campbell Falls Road and Canaan Valley Road into Connecticut, through woods and farm land and by the river. The falls are almost 100 feet tall. The view at the bottom is wonderful, but there is also another vantage point. 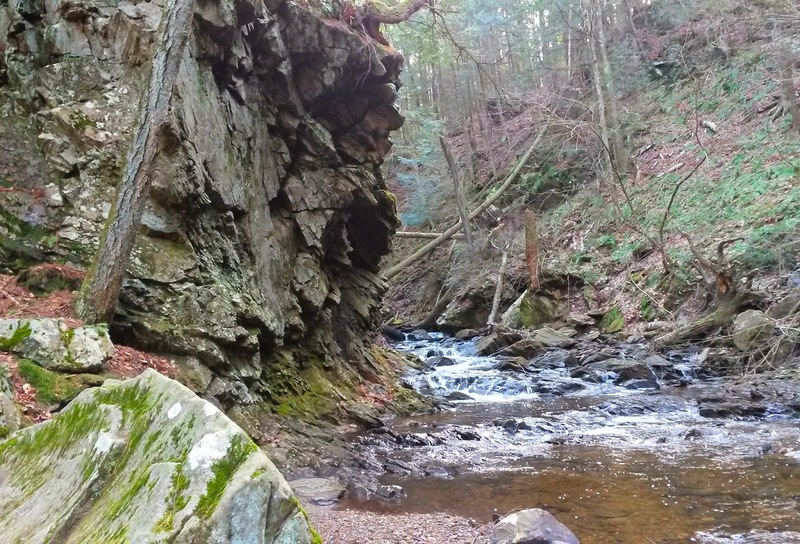 If you go back up to the dirt road, Campbell Falls Road, make a left and continue just over the stone bridge to a trail on the left, you can go to a slanting flat rock at the top of the falls. Here you can look to the left where the river goes under an old and beautifully-constructed stone bridge, courses by you and, to the right, disappears over the rock edge with a roar. Very dramatic! Campbell Falls on the Whiting River. 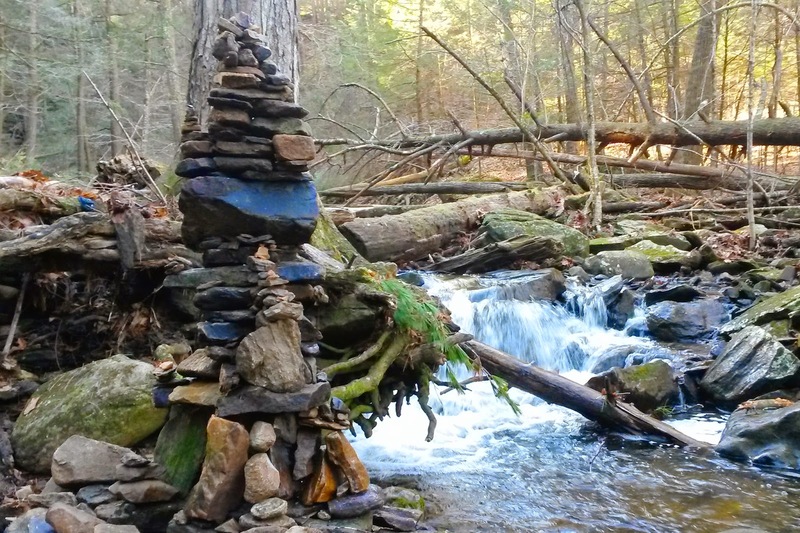 Someone had built an elaborate 5-foot tall cairn on the side of the creek. 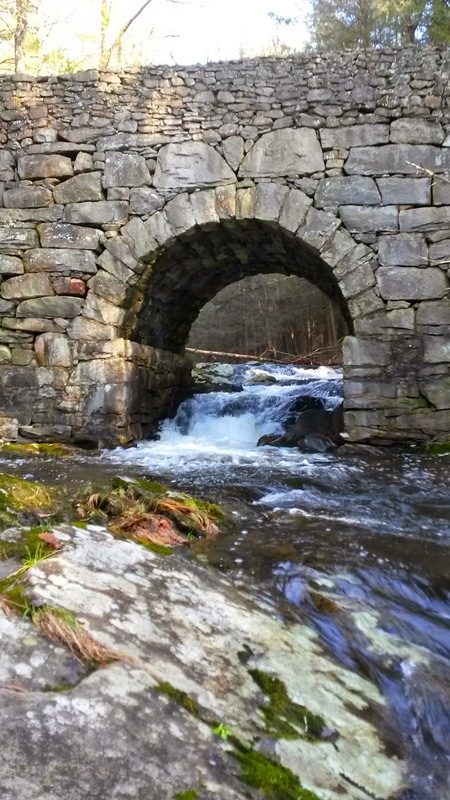 At the top of the falls is the old stone bridge. 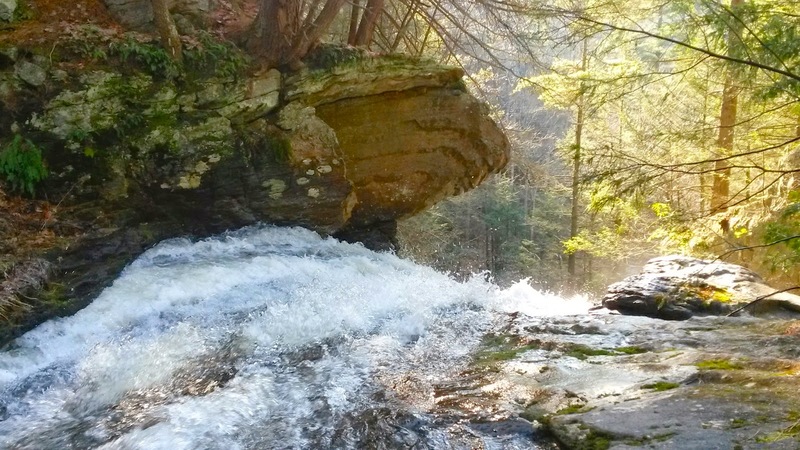 The water cascades noisily over the rocks. 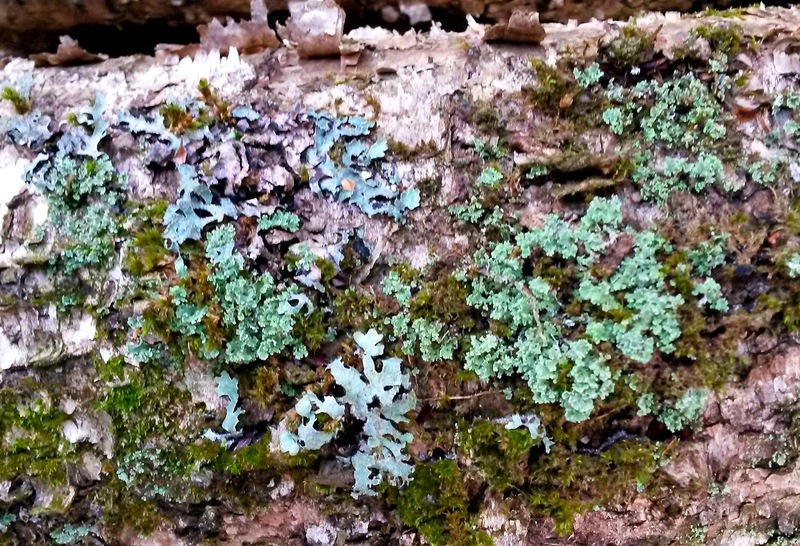 Two types of lichen and some moss on a birch log. I love the colors! 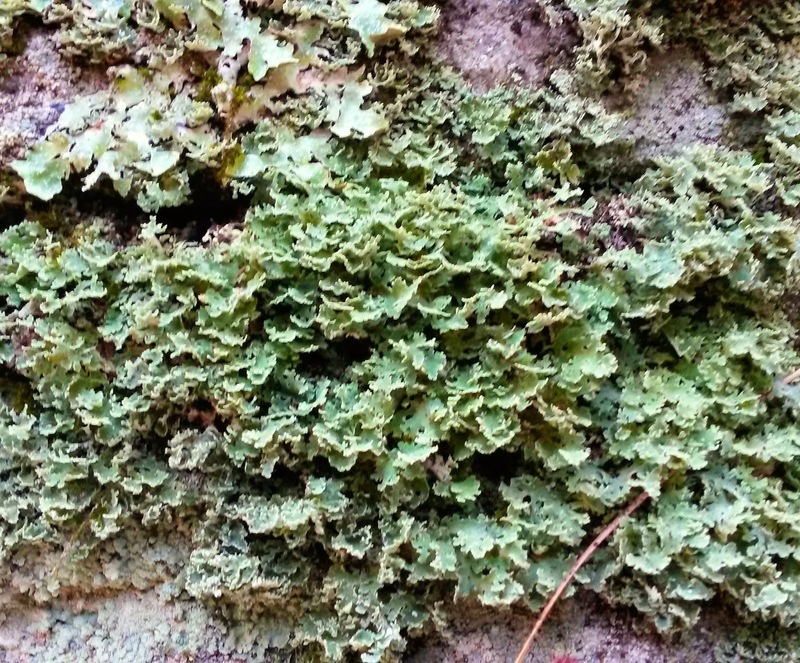 Some soft green foliose (leafy) lichen.